The Magic of Maths (2015) reveals the magic hidden within the fascinating world of mathematics. 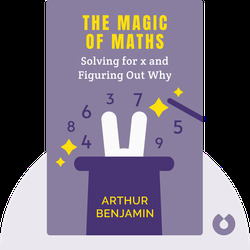 These blinks will show you the beautiful and often surprising patterns of mathematical observations, expand your knowledge of geometry and algebra, teach you numerical party tricks and illuminate the mysterious properties of numbers like π (pi). 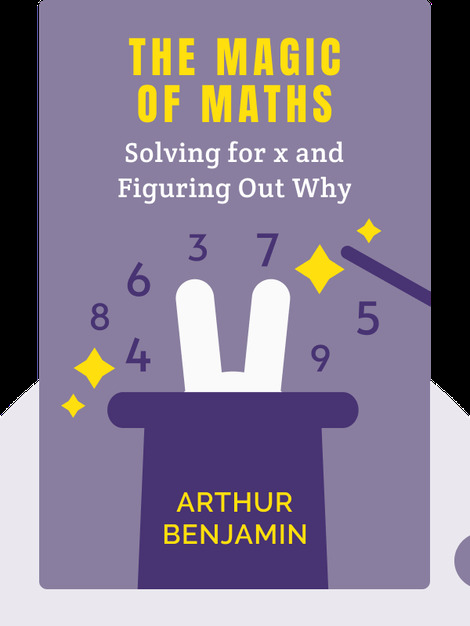 Arthur Benjamin is a regular speaker at TED talks and is Professor of Mathematics at Harvey Mudd College. He holds a PhD from Johns Hopkins University and is also the author of Secrets of Mental Math.